Get the insider’s tour of Beijing’s most incredible historical attractions! 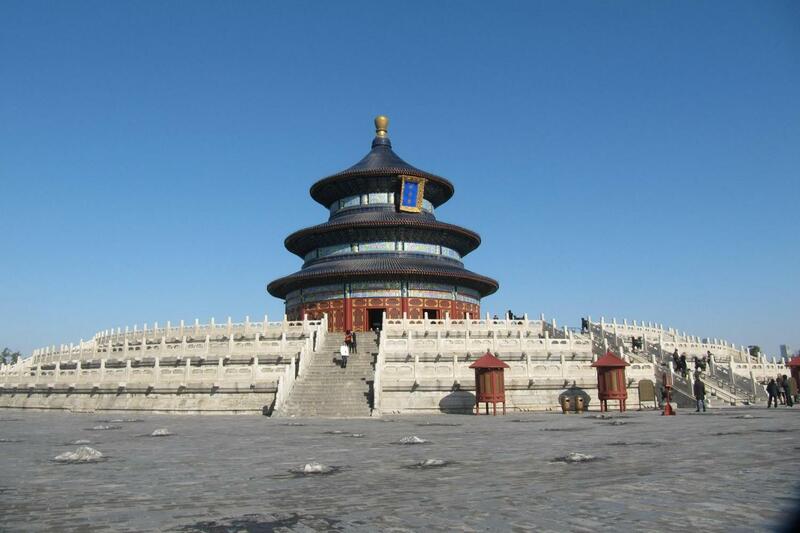 On this tour we will visit Tiananmen Square, The Forbidden City and the Temple of Heaven. As the largest city square in the world, Tiananmen Square is the first “must-see” tourist attraction for Chinese and foreign visitors. The Forbidden City, actually a “nick-name” for the Imperial Palace, was the political center of China for almost 600 years, during the Ming and Qing dynasties. After visiting the emperor’s majestic “house”, we will take a lunch break before visiting the beautiful Temple of Heaven – the imperial temple and altar complex. Built in 1420, it was designed for the emperor to worship the god of heaven, pray for good harvest and hold grand religious ceremonies. In addition, we will visit the Yuanhou Silk workshop and observe up-close the process of making hand-made silk. Our guide was informative and very polite. We were delayed by a sudden rainstorm but our guide made sure we stayed together & safe! Kudos to our guide! Our tour guide Mr Shine made the day. He was happy and helpful and eager to make us all feel welcome and relaxed. At the historic sites he was very informative with a great depth of knowledge. The side visits to the silk and pearl exhibits were also very interesting.